Please note: Carry case shown in picture is a recommended option. Other Notes: includes adult electrode pads, 4 year aviation battery, and reference card. Meet the AED that's taking easy-to-use to a whole new level. 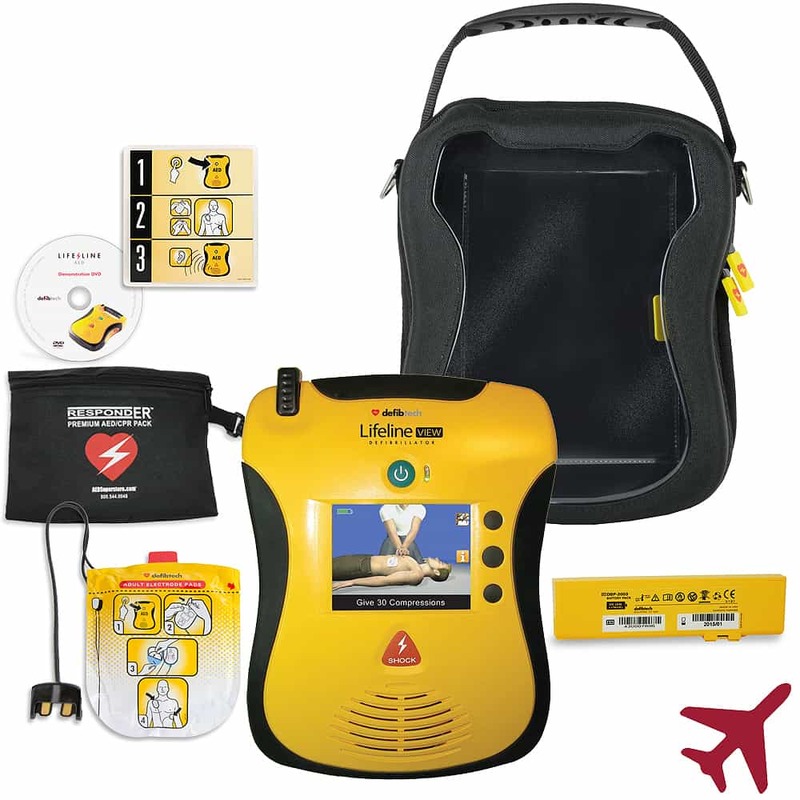 Other AEDs tell you what to do in an emergency, but the Lifeline VIEW is the first and only one that shows you--with video in full-motion color. 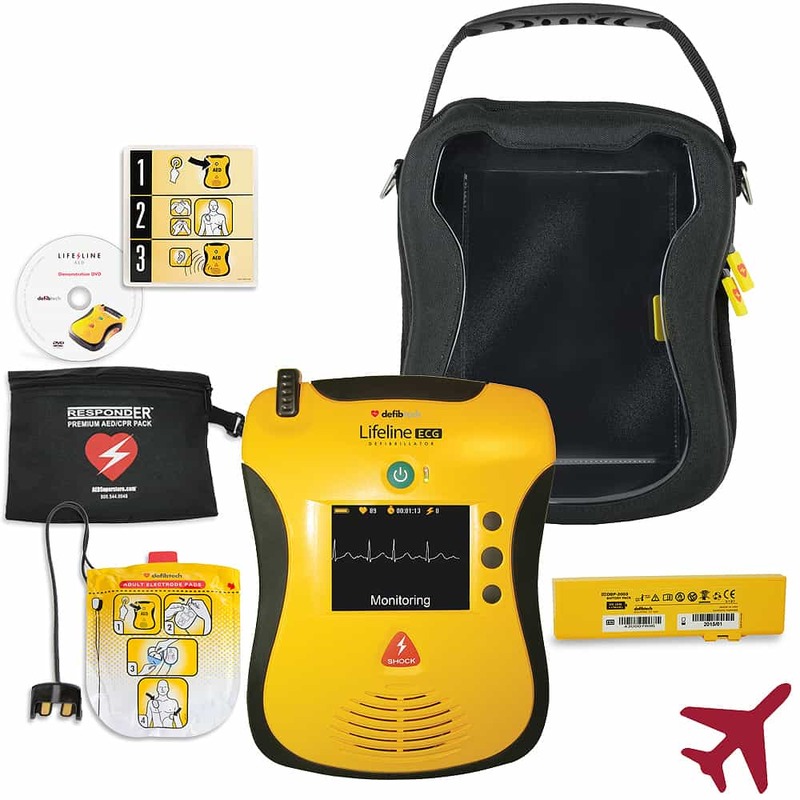 With award-winning design, durability and easy maintenance - backed by the Defibtech commitment to innovation and excellence - we can guarantee you've never seen an AED like this before. Deliver emergency care your way.